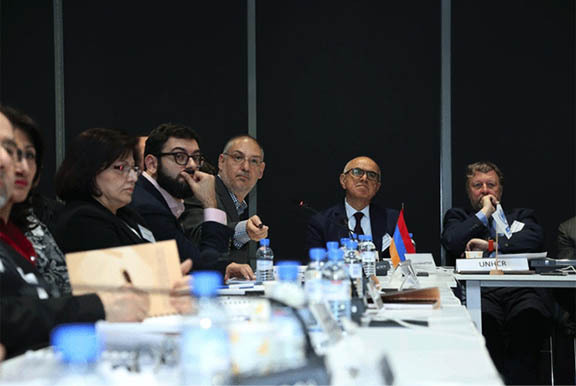 LOS ANGELES – At a major donor conference in Yerevan, the Armenian Redwood Project (ARP) announced that a broad coalition of diaspora philanthropists and organizations had pledged up to $350,000 to significantly augment the emergency housing-assistance program in Armenia for Syrian-Armenian refugees. These funds will be essential in continuing the program—initiated by United Nations High Commissioner for Refugees (UNHCR)—in 2016. Donors include philanthropists Gerald Turpanjian, Carolyn Mugar, and Zaven Akian, in addition to the Gulbenkian Foundation, the Jinishian Memorial Foundation, the Western Diocese of the Armenian Church of North America, The Ani and Narod Memorial Foundation, Denmark’s Mission East Armenia Branch, and The Syrian Armenian Relief Fund (SARF), along with the project’s in-country partner Oxfam Armenia. According to the Government of Armenia, over 20,000 Syrian-Armenian refugees have sought refuge in Armenia, where many are still struggling to rebuild lives with limited support. Adequately addressing the housing crisis of refugees seems to be beyond the means of the Government of Armenia or any one organization alone. As such, ARP was established as a collaborative platform to help provide refugees with vital humanitarian assistance. Functioning in part as an alliance between diaspora benefactors and foundations and in part as international aid agency partner, ARP’s consortium’s new pledge aims to help Syrian-Armenian families in Armenia secure and maintain affordable housing in the form of rent subsidies. In 2015, close to 1,000 Syrian-Armenian families in Armenia benefited from the joint rental-subsidy program, which was managed by the UNHCR and Oxfam. “As a host country, Armenia has been absolutely exemplary in terms of the ratio of welcomed Syrian-Armenian refugees to the number of native inhabitants,” said Christoph Bierwirth, the UNHCR Representative in Armenia. While UNHCR has committed to continuing its Syrian-Armenian relief efforts in 2016, it announced a budget reduction in the program, reflecting the exhausted resources of humanitarian agencies throughout the region. In response to the UNHCR budget reduction, ARP mobilized a cross section of diaspora philanthropists and organizations, and partnered with Oxfam Armenia, in order to supplement the UNHCR housing-assistance program in 2016, thereby fulfilling the budgetary shortfall. In this effort, Archbishop Hovnan Derderian, the Primate of the Western Diocese in Los Angeles, has played a key role in rallying the diaspora’s support. Margarita Hakobyan, Country Director for Oxfam in Armenia, said that by addressing the immediate housing problems of displaced Syrian families, the rental-subsidy program contributes to securing sustainable livelihoods for hundreds of Syrian-Armenian families in 2015 who started new lives in Armenia—the land of their ancestors. “However, due to the escalation of war in Syria, the influx of displaced Armenians from Syria continues, and the need for housing is increasing. Therefore, there is high urgency to mobilize our joint efforts in supporting displaced Syrian-Armenians in 2016, and I am sure together we can do it,” Hakobyan added. 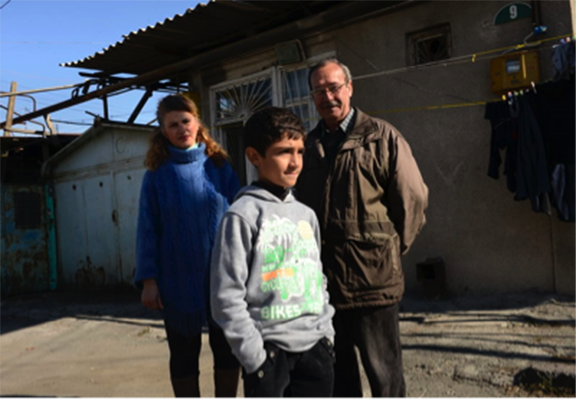 Thanks to the support provided by both UNHCR and the Armenian Diaspora consortium with Oxfam, over 500 vulnerable Syrian-Armenian refugee families in Armenia will be eligible to continue to receive housing assistance in 2016. The rental subsidies aim at creating an interim safety net in their lives. SARF, which recently raised more than $1.2 million during its inaugural “Save a Life” telethon in Los Angeles, has been a strategic partner in this project and announced its commitment to the 2016 program with a $50,000 grant. “Whether temporary or permanent, settling Syrian-Armenian refugees in Armenia is a natural choice. SARF, for the second year, participates in the consortium of diaspora donors in helping provide rental subsidy for hundreds of displaced families. By complementing the free education and healthcare services provided by the Government of Armenia, we ultimately hope to bring some normalcy to the lives of refugees as they move on to finding more permanent solutions,” said John Tititizian, Chair of SARF. Dr. Razmik Panossian, Director of the Gulbenkian Foundation’s Armenian Communities Department, a major supporter of the program, also expressed the Gulbenkian Foundation’s ongoing endorsement. The 2016 program will include a social services component intended to improve the socioeconomic conditions of not only newly arriving Syrian refugees but also of the hundreds of refugee families already enrolled in the program. Collectively, this humanitarian intervention is one of the largest continuing programs targeting Syrian refugees in Armenia.